This week we gonna look at some best online retail Game shops you wouldn’t like to miss this year and the reason behind there rating. You can as well leave your opinion at the comment space for more suggestion. Let’s have a quick review shall we? Popularly known as Steam, developed by Valve Corporation which probably has the largest Game online game stores. I will say Stream has the most creative platforms that triggers player’s gaming experience, some of these is a platform that enable people know what their friends are playing, the big screen mode, controller support, the steam machine which is also the big screen digital distribution platform for PC Gaming. Stream dominates the gaming industry with a whopping 75% of the market place, 125 million registered accounts and over 12 million thread (regular) users. Their other features include; Steam Beta, Steam community, Steam Cloud, Steam Mobile app, Linux client, system direct. 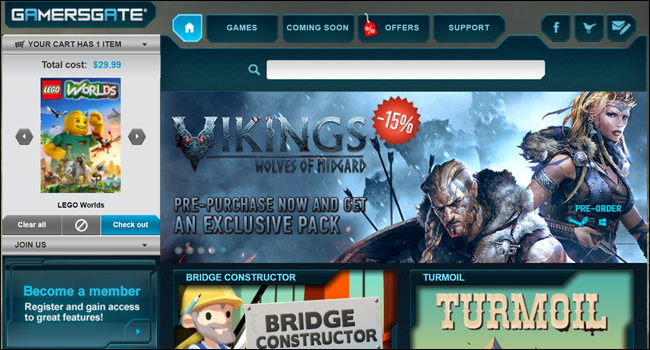 This Swedish online video game stores is also known for its wide range of game platforms ranging from Windows, OS X, and Linux etc. Just like its counterparts, it stands out from the highly competitive online gaming retailing industry. Initially distributing only PC games, they began offering Mac games around 2009 and latter Linux and android games. As it began to expand its platform, it included OS X and indie games. GamersGate is having been acknowledged to be the perfect place for Mac game downloads. This company works with 250 reputable game publishers like Ubisoft, Epic Games, 2D ta design, Paradox, Atari, SEGA, Capcon, 2kGames, Interactive, among other top publishers. Their over whelming gallery of over 6000 Games makes a first time visitor redefine his prospect. After the lunch in 2009 this company has had 100% growth which according to the parent company paradox interactive contributed 70% of its total revenue. Sometime in 2011, their FreeGame program offered over 3000 up for download, which was first of its kind. Being the first to create a downloadable content on PC it also operators a DRM – free policy. Its free games section also makes it stand out from its competitors.So I presume you don’t have an excuse not to include GamersGate on your retailers shopping list this year. Founded in 2008 with headquarter in Cyprus, also known as GOOD OLD GAMES has the best classic new games that suites every platform ranging from window, Mac and Linux, and mobile device. Unlike those online game stores like steam, the company hardly publishes its market report analysis, but from individual research in 2015, the company had sold over 6900 units of The witcher 3: wild hunt. The uniqueness of the GOG store is their fair price package, and the "money back" guaranty package which gives the customer %100 confidences on their proposed purchased. And one more thing, their Digital Right Management (DRM) – free policy content made clear on their store; “you buy it, it’s your”. This means that customers can always share. Lastly, the products are extremely affordable, their prices ranging from $5 to $10 for older games including special offers which is held serial times in a week. The newer games have much higher prices though. Founded in 2010 in San Francisco California, United State. Just like its counterpart it has a large collection of classic games and has over 80,000 subscribers who troop in to experience the classic great games with great prices. And unlike GOG, the game online store provide its customers enjoy free information update, this keeps the customer braise on the latest game update. HUMBLE also offer a DRM-free free policy. There is also Humble Weekly Bundle which offers the same pay – what- you –want for a single title. This started with the BASTION game which has several layer. 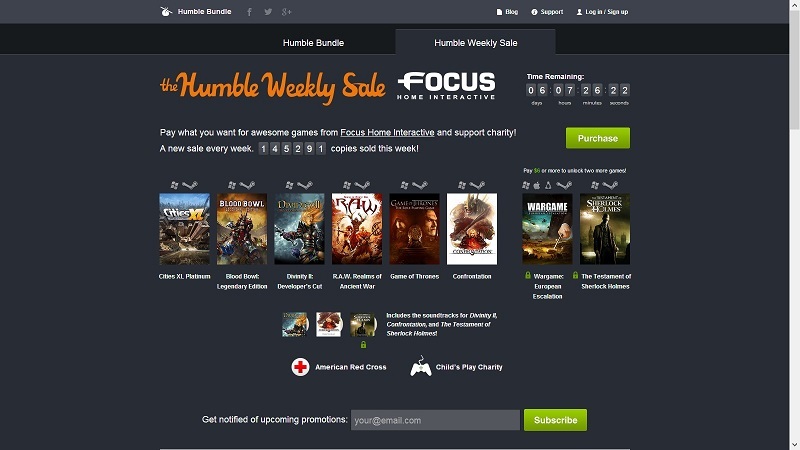 There is also Humble Monthly; this is a monthly subscription service that enables the subscriber to receive a curate set of games at the start of each month, this will be delivered in a similar manner as other humble products. But one thing many customers are ignorant about this company activity is that they send most of their profit to charity. Great right! This is my favorite! Am just so in love with that company logo! (That Mafia looking Green Headed Man) that looks like “Incredible Hulk”. The Green Man Game is an online retailer store with headquarters in London, UK. 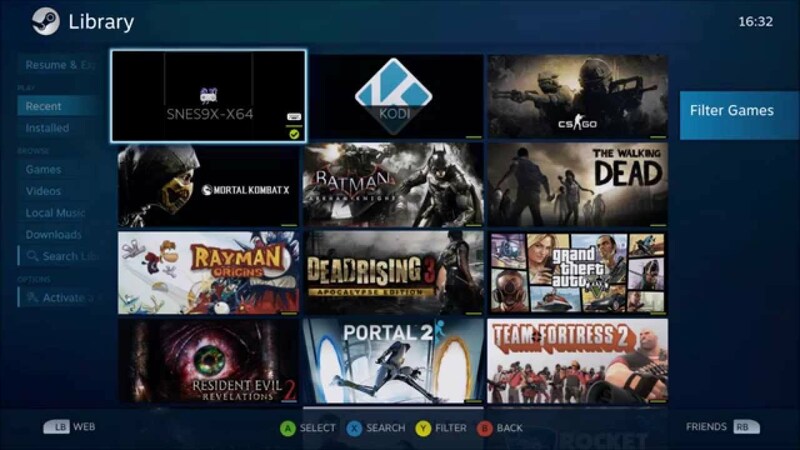 This company has a wide array of over 5200 stoked games on their shelves from more than 450 top publishers, operates in 185 countries and also owns Playfire; a game tracking social networking website that allows users to automatically track their game play achievement, from PlayStation Network, and Xbox Live. Green man gaming has received some numerous awards for their excellence in the industry, some of the awards include but not limited to The Great British Entrepreneur of the year 2013 and 2014 , the SVC2UK, GB Entrepreneur of the year in retailing, Purely e-commerce retailer Award of the year 2014 , MCV Brit list2014 , WCIT enterprise awards 2016, the list goes on and on . And if you are the Nintendo or Wii U fan, you just have to visit the Green Head man! This company was once a digital distribution and multiplayer platform, developed by StarDock to take over from Star Central. It was later purchased by GameStop in 2011 and re-branded as Gamestop PC Downloads. Impulse has attractive features which includes the user purchase and download software which is tied to an account on GameStop’s servers, and could be downloaded from anywhere that allows the use of the internet. Impulse has this unique software management system that let customers create archives of purchased softwares allowing the users to revert to an older version if the latest version is not up to expectations. There is also something for game developers called the Impulse Rector; a software library which provides DRM protection achievements, friend’s lists, chat, multi player lobbies and accounts. This which allows developers make an Application Programming Interface (API) calls and inquiries from impulse community infrastructure using the Impulse Rector. Impulse provides a convenient and smaller updates for internet- connected users, users without availability of internet access face no other option to update their game through single patches. Some of the publishers include Ubisoft, Atari, Epic Games, THQ, AVG, Gas Powered Games, Hothead Games, Ironclad Games, Popcap Games, meridian4 and Iolo Technology. Please note that this rating doesn't mean that the rest of the stores are not satisfactory, but the ones listed above has been deemed reliable by thousands of online game shoppers and has maintained international best practices.